Lake James, a 6000+ acre lake surrounded by the scenic Pisgah National Forest and the Linville Gorge Wilderness, is conveniently located east of Asheville and Black Mountain and just north of the town of Marion. For many, Asheville's allure is well worth a short commute in order to enjoy easy access to Lake James boating, fishing, mountain biking, and hiking trails. There is no fee to access Lake James State Park. If you are planning to swim in the Lake James swimming area, the cost $6 per day for adults and $4 per day for children ages 3-12. The swimming area is open May 1-September 30th. Lake James is a great place to enjoy paddling, either in a canoe or kayak. Don't have your own? You can rent a canoe or kayak for $7 per hour from the Paddy's Creek concession stand area, generally from Memorial Day through Labor Day. Lake James is also a popular spot for boating. The Park has two boat ramps: Hidden Cove and Canal Bridge. While the Hidden Cove boat access area is closed from December through February, it is open for use other times of the year for times the park is open. The Canal Bridge ramp is open 24 hours. 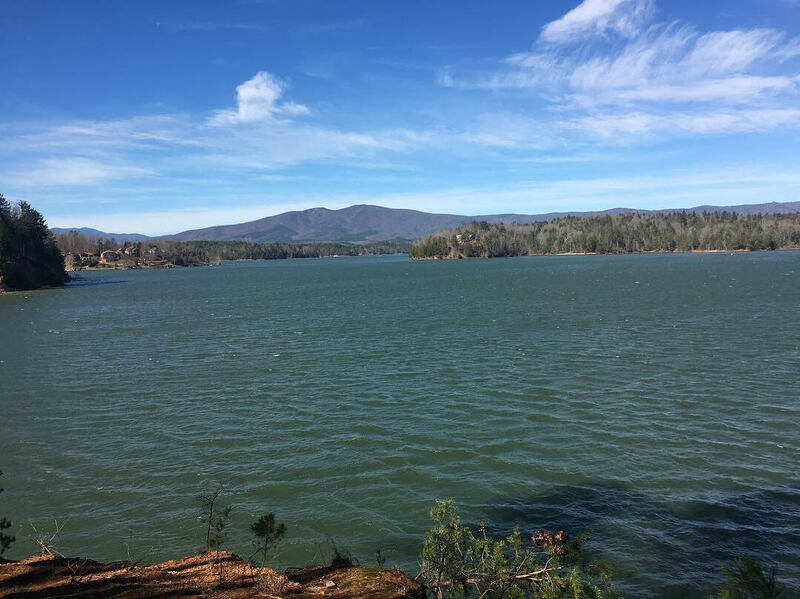 Lake James boasts over 25 miles of hiking trails, and 15 miles of those trails are also open to mountain biking. Map out your ride with Lake James biking map or peruse Lake James hikes so you can plan out your route. One of our personal favorites is the Lake Channel Overlook trail which totals an easy to moderate 3-mile roundtrip hike and the midpoint offers expansive views of Lake James, Linville Gorge, and the surrounding mountains. Just follow the red diamond trails from the Catawba River Access parking lot. The Linville and Catawba Rivers feed into Lake James which reaches depths of up to 120 feet in some locations. The Large-mouth bass is a popular catch in the waters of Lake James. Other fish in the lake include catfish, bluegill, redbreast sunfish and muskellunge. Make sure to have your fishing license if you plan to fish at Lake James. Greybeard Rentals offers a range of homes that are located within 30 minutes or less of Lake James, for a quick commute to all the varied outdoor activities that the lake offers. A few we'd recommend looking into include Moondance Cabin, Bear Tracks, Kibbin at Mackey Ford.